By God's grace, for almost two decades, our CLET seminary in Dapaong, Togo has been training men for the ordained Ministry to serve Jesus' flock with Word and Sacrament. In that time the institution has gone from serving the Lutheran Church of Togo and the Lutheran Church of the Ivory Coast, to training men for eleven different Lutheran church bodies in eight francophone African countries. The CLET in its rural setting has been protected from political upheaval and pillaging – while neighboring countries went through troubled times. Our seminary has been able to serve as the main axis of our work in francophone Africa for these past years. We certainly pray that in the coming years she can continue to serve as the first step of residential theological training for burgeoning Lutheran church bodies on the continent. However, the cost of bringing men and their families to Togo from all over Africa is costly. We know that it would be more cost-efficient to train men closer to home. Keeping them closer to their region of origin reduces the complexity of tribal makeup and cultural background of the student body – thus reducing the frequency of misunderstandings, rivalries and cultural conflict. We give thanks to God that now, after some of our francophone Lutheran church bodies have several CLET graduates serving in their ministeriums, we can encourage the planting of sister institutions of the CLET in the various countries. We are pleased to share that the Evangelical Lutheran Church of Congo- Brazzaville (EELC) is one of the church bodies that has recently made the step to begin training men for the ministry in their own country. The EELC is led by Rev. President Joseph MAVOUNGOU, who from the beginning of his presidency over a decade ago made the conscious decision to quickly increase the number of pastors from three ordained Ministers to over twelve. This church body is also blessed by a good pool of educated and dedicated lay men and women who are contributing their talents and financial gifts to the support of their pastors and their national church body. The LCMS-OIM along with the EELC and her members and leaders have taken this step to establish the CLETCO institute, knowing that this is - and will continue to be - the institute/seminary of the EELC. This means that from the foundation of this seminary into the future, the EELC will take increasing financial responsibility of the operations and budget of the institute. For the year 2018, the EELC is covering 20% of the operating budget. This covers everything from salaries, utilities, supplies, to student scholarships. This percentage of local support is to increase by 5% each year so that ten years into the future the EELC will be covering at least 70% of the CLETCO operating budget. As a gesture of goodwill in response to this local support of the institute, the LCMSOIM is also contributing toward the building of the institute's facilities each year and there is openness toward considering subsidizing the pursuit of accredited, higher education degrees of the faculty in the coming years. We pray that the establishment of the CLETCO will serve as a model for the expansion of theological education francophone Africa that will train faithful leaders and undershepherds of our Lord Jesus for the future. 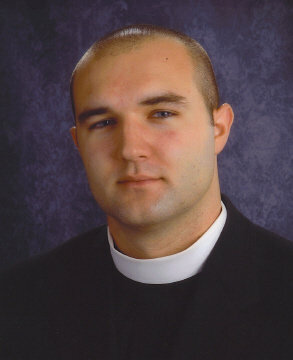 Reverend Jacob W. Gaugert was ordained in April, 2010. at Dr. Martin Luther Lutheran Church in Chicago, Illinois. He graduated from Concordia University Wisconsin, Mequon, Wis., in 2004 with a bachelor’s degree in theological and classical languages. He attended Concordia Theological Seminary in Fort Wayne, Indiana for two years and spent an acedemic year as Vicar for St. Mary's Lutheran Church in Berlin, Germany. He received his M. Div. degree from Concordia Theological Seminary, Fort Wayne, Ind., in 2010. He served as Vacancy Pastor at St. Paul Evangelical Lutheran Church in Whiting, Indiana from 2011-2013. In 2013, Reverend Gaugert answered a call as a career missionary to teach at a Lutheran Seminary in Dapaong, Togo (West Africa).